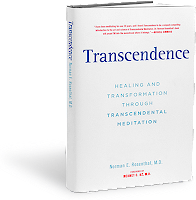 After four decades of scientific investigation of the Transcendental Meditation technique, more than 600 scientific papers, research studies and reviews have substantiated holistic, beneficial effects for mind, body, behavior and society. These research studies were conducted at over 250 independent universities and research institutions in 33 countries — including independent research at leading medical schools such as Harvard, Stanford, Yale and UCLA. Hundreds of these research studies have been published in peer-reviewed scientific journals, including the journals of the American Medical Association and American Heart Association, along with The International Journal of Neuroscience, American Journal of Physiology, Science and many others. 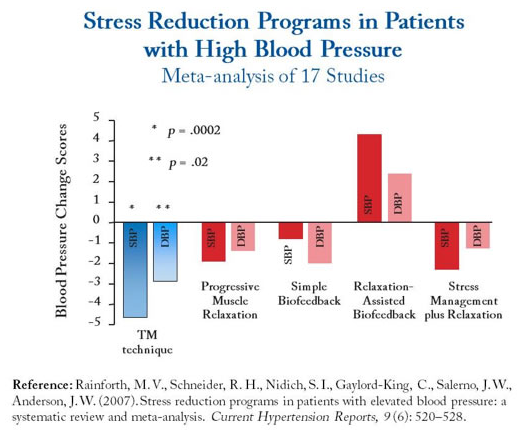 The National Institutes of Health (NIH) has granted $26 million over the past 20 years for scientists to study the impact of the Transcendental Meditation program for the prevention and treatment of heart disease, hypertension and stroke. Competition for government research grants is considerable, and only the more promising fields of research continue to receive substantial funding year after year, over decades. 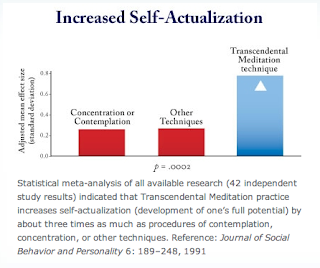 It is precisely because there is a precedence of high-quality scientific research behind the Transcendental Meditation technique, conducted by reputable scientists around the world, that government research funding continues. 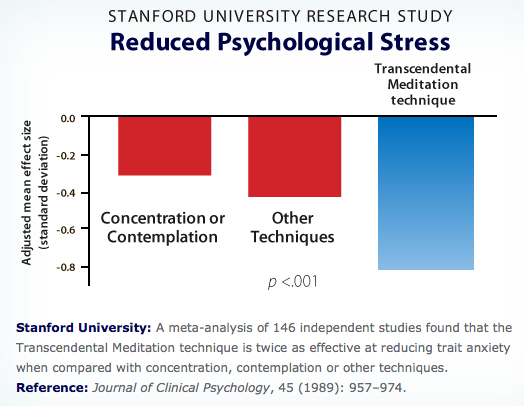 Randomized controlled trials: There have been 50 randomized controlled (or clinical) trials on the Transcendental Meditation technique — showing significant positive effects on intelligence, anxiety, depression, substance abuse and other areas. 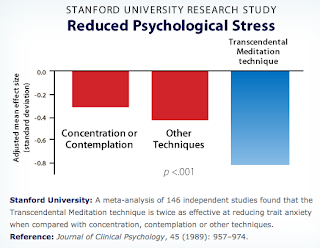 Meta-analyses: Numerous meta-analyses, which examined 597 separate studies on a variety of meditation, relaxation and wellness practices, have found the Transcendental Meditation technique to be the most effective mind-body practice for producing deep physiological relaxation, reducing trait anxiety, lowering high blood pressure, decreasing cigarette, alcohol and drug use, improving psychological health, and increasing self-actualization. 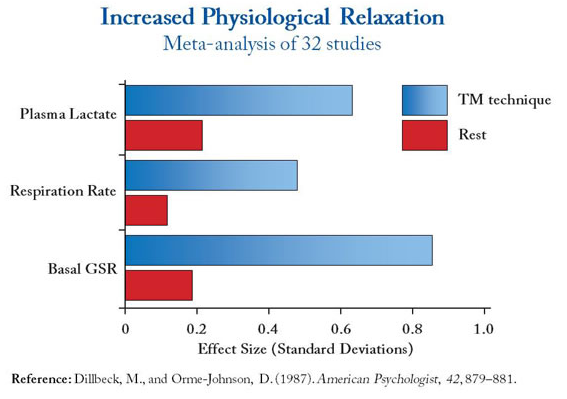 Meta-analysis is a qualitative procedure used by scientists to draw definitive conclusions from large bodies of research studies. Support of medical doctors: The American Medical Association, which represents 140,000 medical doctors, has published and promoted research showing that the TM technique improves high blood pressure, diabetes, and obesity. 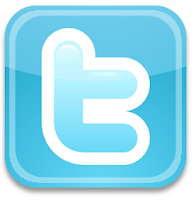 The Website www.DoctorsOnTM.org — developed by a national team of physicians, including professors from leading medical schools — features numerous doctors and medical researchers speaking out about the TM technique’s health benefits.